Are Cracked Teeth Really A Dental Emergency? Dental mishaps do occur from time to time and biting into hard foods or crunching down on something accidentally can leave you suffering with chipped, broken or cracked teeth. 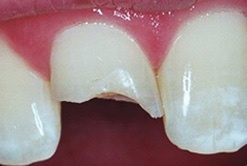 You may be able to visibly see that a piece of your tooth has broken away, while other times it’s not so obvious. When this happens, it’s important to visit us straight away for necessary cracked teeth treatment to restore the health of your smile. If you’ve only slightly chipped a tooth and it doesn’t hurt, is this cause for a dental emergency? If you’re not in pain, while it does need to be dealt with sooner rather than later, it can and should wait until the next available appointment with the dentist. In the meantime however, do ensure that extra care is taken when chewing so you don’t chip the tooth any further. Then at your appointment, we’ll usually be able to smooth the chip over or add some filling material in order to repair the tooth. While that’s pretty straight forward, what if you’ve badly cracked or fractured a tooth? This is more serious, especially if you have pain and would normally be classed as a dental emergency. Call us right away so we can help prevent the tooth getting any worse or infected. 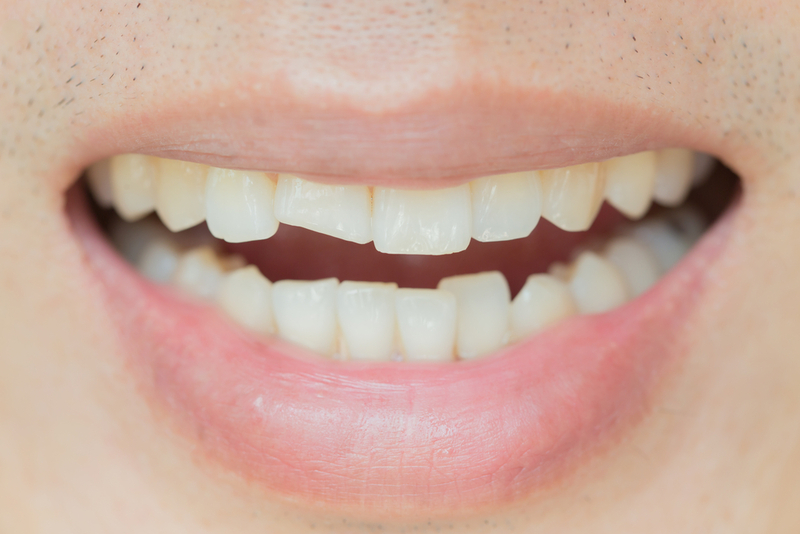 Although enamel (which covers the surface of our teeth) is the strongest tissue in our body, it has its limits and can still be broken or cracked. 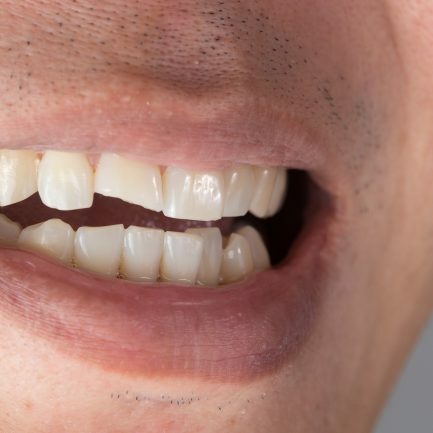 Cracked teeth can happen for a number of reasons including playing contact sports and not wearing a mouth guard, or being involved in an accident that caused an unexpected hit to your mouth. It can also be caused by habits such as clenching and grinding your teeth or chewing and biting down on hard objects. Lastly, if decay is left untreated, this can weaken the teeth, leaving them more prone to breaking. Did you know that our back teeth (called molars) are more vulnerable to cracks because they tend to absorb most of the force while we chew? How do I know if I’ve cracked a tooth? Dealing with cracked teeth can be difficult, due to a variety of symptoms. Typically, a cracked tooth will cause erratic pain upon chewing, with biting pressure or when exposed to extreme temperatures such as a hot drink or an ice cream. 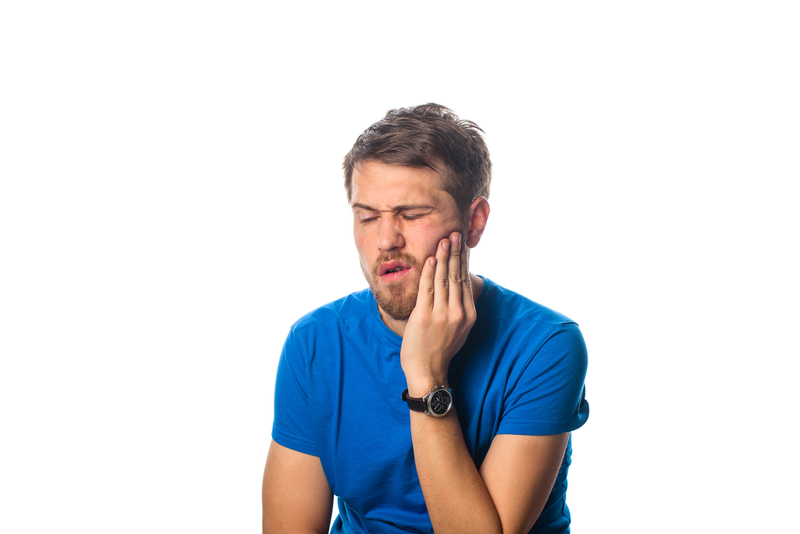 A lot of the time, patients find that the pain comes and go’s and this can make it a little more difficult to pinpoint the exact tooth causing the discomfort. A cracked tooth is often unnoticeable to the human eye and can at times not even appear visible on dental x-rays. A cracked tooth can be painful because every time you bite, the pressure causes the crack to open a little and this irritates the pulp of the tooth. This is where the nerves and blood vessels are contained. When this happens, the tooth may then become sensitive to extreme temperatures, cause a sharp pain when biting and if left, possibly even become infected. So what exactly does cracked teeth treatment involve? – A fractured cusp – when a piece of your tooth’s biting surface breaks off (which often happens around a filling) it’s known as a fractured cusp. This rarely damages the nerves inside the tooth, so generally doesn’t cause much pain. In this case, we’ll place a filling and/or possibly place a crown over the tooth in order to protect it from future fractures. – A cracked tooth – this means that the crack extends vertically down toward the root of your tooth. If left untreated, the crack may gradually spread further. This is why early diagnosis is really important for the best chance at saving your tooth. If the crack extends down into the tooth’s nerve then we’ll perform root canal treatment and cap the tooth with a crown to help protect the crack spreading any deeper. Worst case scenario is that the crack extends down below the gum line. 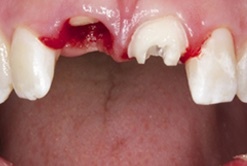 When this happens, the tooth is not treatable and would need to be extracted. This again emphasises the need for early treatment. – A split tooth – is quite often caused due to the progression of a cracked tooth that’s been left untreated. This means the tooth has a crack with segments that can be separated. At this point, the whole tooth can’t be saved intact but depending on the extent and position of the crack, it may be possible to save a portion of the tooth. In most cases root canal treatment will need to be carried out too. – A vertical root fracture – is a crack that starts at the root of your tooth and extends towards the biting surface. These don’t present many obvious warning signs or symptoms so may go unnoticed for a long time but are often discovered when the bone or gum surrounding the tooth becomes infected. At this stage, treatment is generally a tooth extraction, although in some cases it’s possible to save a portion of the tooth with root canal, removing the fractured part. Often dental emergencies can be easily avoided by having regular check-ups to help keep your mouth healthy and avoid problems such as cracked teeth. Treatment can range from just a simple filling to a tooth extraction, but whatever the case it’s important we see you straight away in order to have the best chance at saving your tooth. So if you’re experiencing any pain or symptoms associated with cracked teeth call us straight away on 0161 485 7376 and we’d be happy to see you for an emergency appointment. No matter how careful we are, accidents can happen. 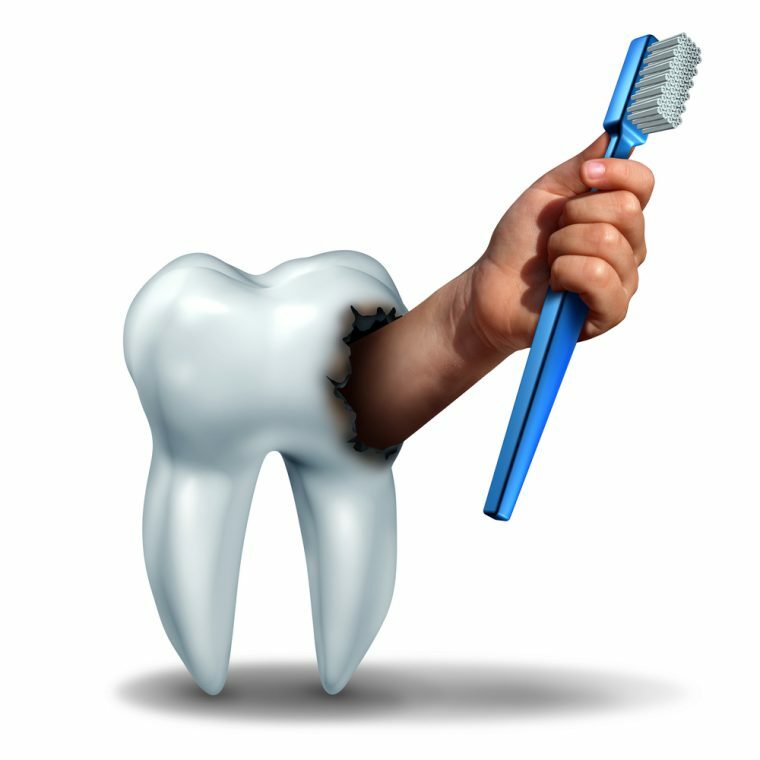 Did you know for example that over 5 million teeth are dislodged each year in both adults and children? This being the case, it’s important to be prepared for such an emergency. A trauma to the mouth or face may only leave you with a small injury such as a slight chip to your tooth enamel. However, sometimes it can leave you facing more serious issues such as dislodged teeth or a knocked out tooth. While it’s true that a knocked out tooth can be successfully reimplanted, when such a scary dental emergency occurs, it’s our natural reaction to panic. That said, it’s crucial to act fast and there are a few important steps you must take in order to ensure that you get the best chance at saving your tooth. 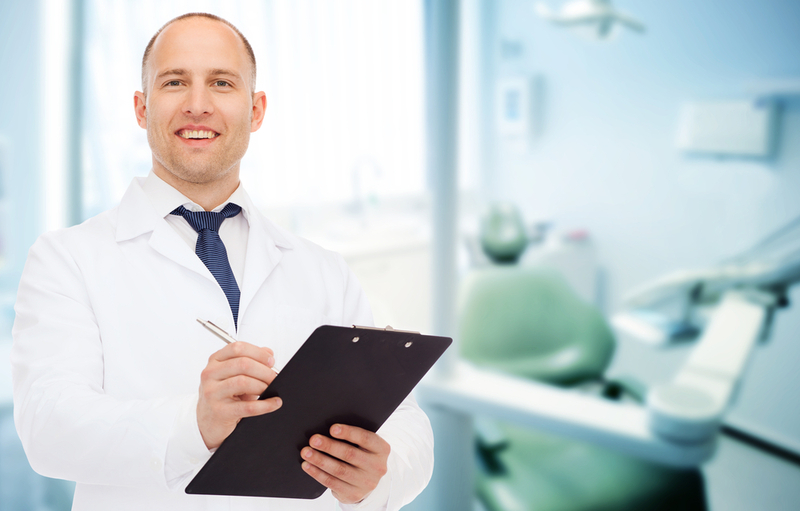 Let’s take a look at exactly what you need to do in this situation and what knocked out tooth treatment your dentist can then provide. 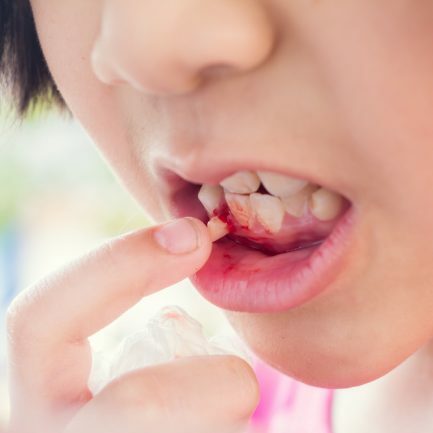 Aside from deep lacerations to your mouth or gums, knocking a tooth out and dislodged teeth are considered one of the most urgent dental emergencies and both require an extremely fast response. 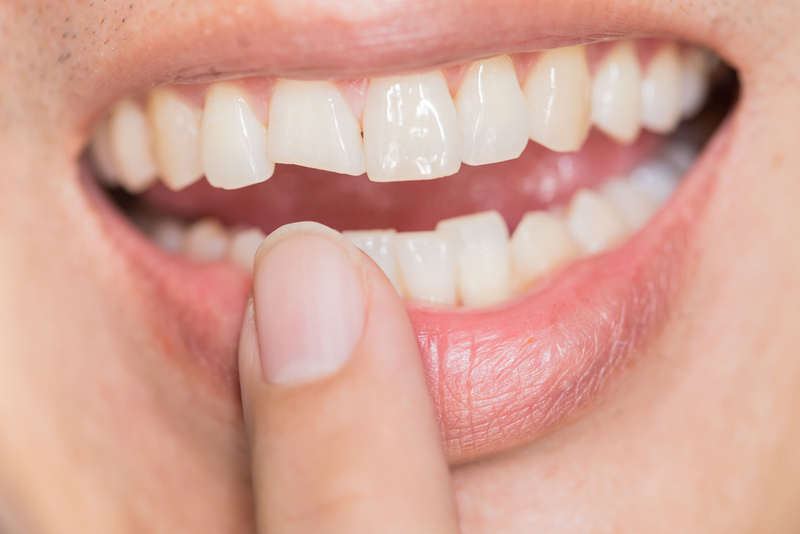 The technical term used in dentistry for a knocked out tooth is called ‘tooth avulsion.’ Avulsion comes from the Latin word ‘avellere’ meaning ‘to tear off.’ Remember, if you find yourself in this situation, call us immediately and make your over way to us as quickly as possible. 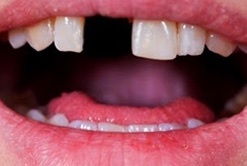 It’s worth noting that milk teeth which are knocked out in young children may not be viewed as a dental emergency as such because they’ll eventually be replaced by permanent ones. If you can find your tooth, pick it up by touching only the crown (this is the part that’s visible inside your mouth) and try not to touch the root. If you can’t see your tooth, try hard to find it. Although it’s really rare, it’s possible in some cases that it can accidentally be breathed into the lungs when a trauma occurs. If your tooth comes flying out of your mouth during an impact onto the floor, or you notice that it’s visibly dirty, it’s natural to want to scrub it clean first. However, it’s really important not to scrub the tooth, especially not the root (which is the part that’s usually hidden underneath your gums) as this could lead to further damage to the tooth and drastically reduce the chances of successfully re-implanting it. It’s best to gently rinse the tooth with tap water, milk, saliva or a saline solution. If you can, try to gently reinsert your dislodged teeth or tooth back into the sockets in your mouth and hold it there. It’s important that the tooth remains moist and doesn’t dry out. If you don’t feel confident, skip this and go straight to step 4. – Make sure it’s a permanent tooth – if you try to reimplant a milk tooth you could accidentally damage the developing tooth underneath, so in this case, it’s best to go straight to step 4. – Make sure you’ve got the whole tooth – if the tooth is fractured anywhere along the root, it’s best to wait until you get to see your dentist before trying to re-insert it, to check the tooth can be saved. Again, in this case, go straight to step 4. Using regular tap water to preserve your tooth while you get to your dentist for knocked out tooth treatment isn’t recommended, as the root surface cells don’t tolerate being in the water for very long. Get an appointment with us quickly (within 30 minutes if possible) and bring your tooth along with you. Once you get to us we’ll be able to determine if your tooth looks in good enough condition to be saved and re-implanted. We’ll take some x-rays to check the bone, flush any debris away from the socket and then carefully reinsert the tooth back into the correct position in the socket. Depending on your situation, we may carry out root canal there and then but whatever the case, we’ll splint your knocked out tooth to the teeth either side using a wire or composite resin material. This is to hold your tooth securely in position while it heals. Healing can take between 4-8 weeks, depending on whether the bone around the tooth was fractured or not. Your smile is precious, so it’s important to care for it and protect it. To do this, always avoid using your teeth as tools. Never open bottles or packages with your teeth and avoid chewing ice cubes, hard sweets or anything stubborn that could crack a tooth. If you play rough contact sports make sure you wear a mouth guard! This helps to drastically minimise the chances of damage to your teeth but also your lips, cheek, and tongue. Remember the key to saving your tooth is following the 5 steps listed and getting to your dentist quickly for knocked out tooth treatment. Here at Church Road Dental practice, we offer an out of hours dental emergency service where you can rest assured that you’re in the best possible hands with our experienced team. So if you find yourself suffering from dislodged teeth or a knocked out tooth, follow the advice above and then call us immediately on 0161 485 7376. In most cases, if you have a dental emergency in Manchester, your general dentist should be your first point of call for help. 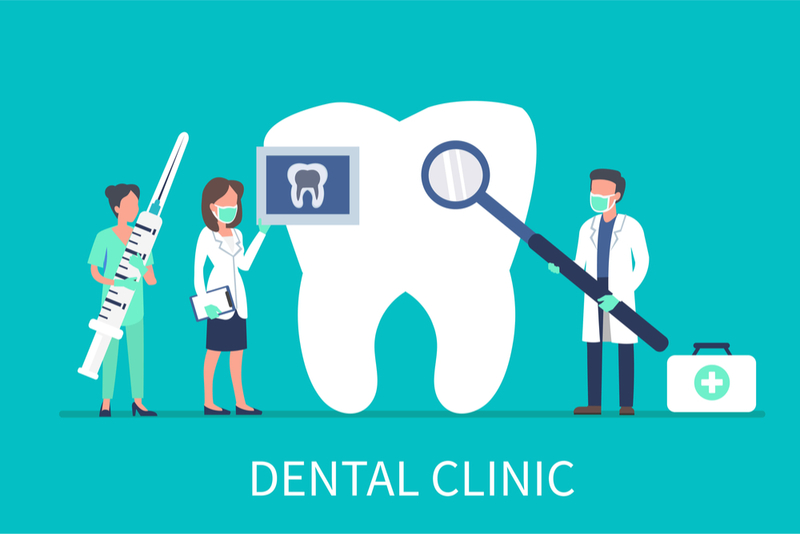 Most dentists actually set time aside throughout the day specifically for emergency dental treatment so Manchester residents can be seen quickly. That being said, when it comes to emergencies that happen out of hours, we find that many people are confused as to whether they should still visit a dentist or go straight to an emergency dental hospital in Manchester instead. There are certain cases in which getting straight to the hospital for treatment is the best course of action, but many emergencies only require help from your local dentist. It all really depends on the medical emergency itself, so if you ever find yourself in this situation let’s take a look at who to visit and when. Should I visit the hospital for a dental emergency? In any of the above situations, either call 999 or head straight to your nearest A&E. still cause a lot of pain and discomfort. If you experience any of the above, give us a call straight away. Treating the problem fast can make a big difference when it comes to saving a tooth. Remember, ignoring the problem is never the answer. In fact that often leads to further pain, damage and expense. – Do you have bleeding in the mouth? – Are you in severe pain? – Have you had any trauma or injury to the face or mouth? – Do you have any loose teeth? – Is your mouth or face swollen? – Have you got any bulges or lumps on your gums? If the answer to any of these questions is yes, you should call us immediately and describe what has happened and what type of pain you are in. 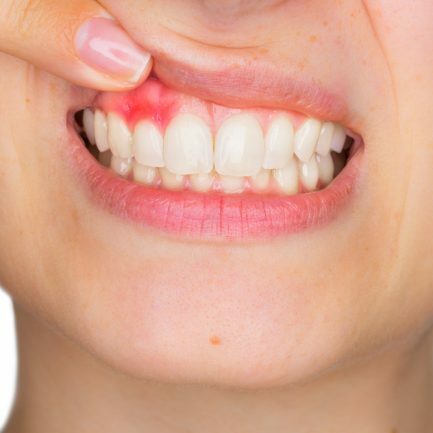 Generally, any dental issue which needs immediate treatment in order to save teeth, stop bleeding or relieve pain is considered to be a dental emergency. 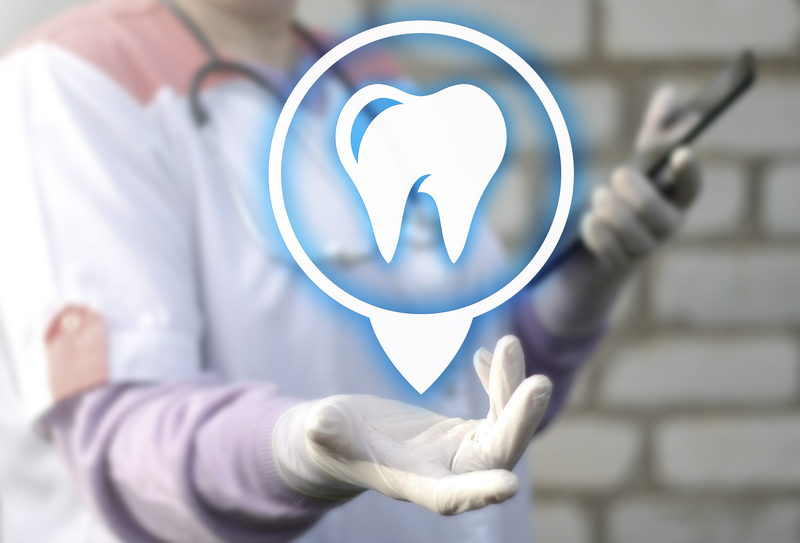 To avoid an unnecessary dental emergency, Manchester residents are advised to have regular check-ups. Your dentist can spot any potential disasters early and make sure that your teeth are strong, healthy and decay free. In addition to regular checks, always remembering to wear a mouth guard while playing sports activities helps to stop teeth from getting chipped, broken or worse still, knocked out. It’s also good to try and avoid chewing hard foods that could fracture or break your teeth. If you’re planning a trip abroad or an extended holiday where you might not have access to dental care, it’s always a good idea to visit your dentist for a check-up before you leave. This is so that your dentist can make sure you don’t have any problems, such as decay that could cause pain or an abscess, loose crowns or veneers or any other dental issues that might cause you inconvenience while travelling. When visiting Church Road Dental practice for emergency dental treatment, Manchester patients can be confident that we’ll do whatever we possible to relieve you of any pain or discomfort quickly. For instance, if a tooth has been dislodged or knocked out of your mouth in an accident, our team at Church Road Dental can treat the damaged nerves and tissues. By replacing the injured tooth quickly, there’s a good chance it can be saved. In addition, if you have severe toothache as a result of decay, then depending on the extent, root canal or extraction may be necessary. These treatments are not available at an emergency dental hospital in Manchester, but can instead be carried out by our highly experienced team comfortably at our practice, whatever the time. Afterwards, we’ll always advise you on any other treatments that are needed in order to get you dentally fit again. To book an emergency dental appointment, you don’t need to be an existing patient, we provide emergency care for all, including visitors to the Manchester area. Remember, we know that a dental emergency in Manchester won’t always happen during typical working hours, that’s why we offer a service for out of hour’s emergency dental treatment. Manchester residents can rest assured that you won’t be kept waiting and we’ll do all we can to get you out of pain and discomofort as fast as possible. So, if you have a dental emergency, call us first on 0161 485 7376. We’ll either treat you at our dental practice or advise you to visit the local emergency dental hospital in Manchester if necessary. When it comes to problems with our oral health, often there are warning signs that you need to visit your emergency dentist in Manchester that shouldn’t be ignored. We only get one set of teeth and it’s important we take good care of them, not just for our dental health but also for our overall wellbeing.That being said, sometimes patients aren’t sure when to visit an emergency dental clinic. Manchester residents shouldn’t hesitate to call if suffering from any of the dental-related problems below. An abscess occurs when a tooth is infected and can form very quickly. You may notice a painful swelling that’s filled with pus. It’s your body’s way of trying to contain the infection and stop it from spreading further. 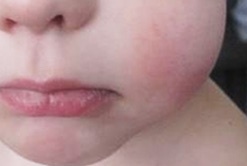 Symptoms include a severe toothache, fever, and facial swelling. An abscess won’t go away unless it’s treated, so don’t ignore the symptoms. With abscesses generally being quite painful, most people do seek treatment straight away. If you have an accident in which your tooth is knocked out, it’s important to immediately visit our emergency dental clinic. Manchester patients may then be able to have the tooth successfully re-implanted into the socket, but only if you act quickly. For the best chance of saving your tooth, keep it in a glass of milk until you see our Manchester emergency dentist. A dislodged tooth is when a tooth is loosened, pushed into or sideways from its socket usually as a result of an injury or accident. When this happens it’s important to immediately visit our Manchester emergency dentist because, with the right care, the tooth can be re-implanted and repaired. Generally, having a tooth extraction has little to no complications. 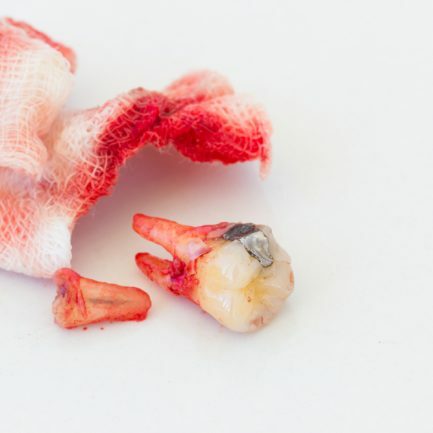 Sometimes though, after having a tooth removed, a dry socket can take place within 3 days of the extraction if the blood clot falls out of the socket too early and leaves the bone exposed. Symptoms include severe pain, earache, and a bad taste in the mouth. 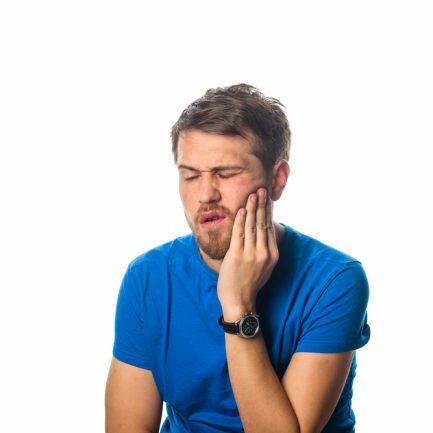 Despite the strength of tooth enamel, teeth can sometimes fracture when biting down on something hard or as a result of an accident. Symptoms include a sharp pain when eating or biting down and sensitivity to hot or cold temperatures. If you have a cracked tooth that’s causing pain, it’s best to visit our emergency dentist in Manchester so that we can help stop the crack spreading any further down the root. This ensures the best chance possible of saving the tooth. If you’re suffering from any type of dental pain and are looking for an emergency dentist in Manchester call us now on 0164 486 0743. We’ll make sure you get the treatment you need at our emergency dental clinic in Manchester. 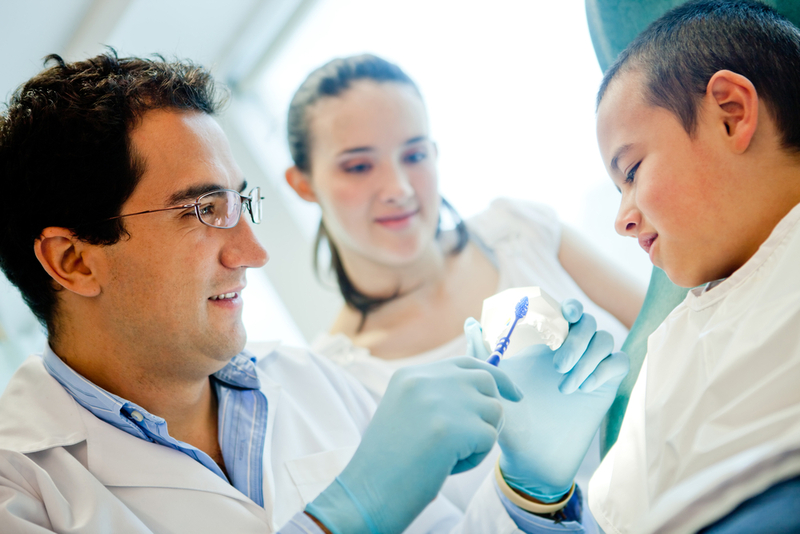 When you need the services of an emergency dentist, Manchester residents can rest assured that we’re here to help. Whether it’s early in the morning or late in the evening you can feel safe in the knowledge that you’ll be treated by our experienced emergency dentist Stockport. While there’s never a convenient time to suffer a painful tooth, we’ll ensure that you get the treatment you need to get you out of pain. 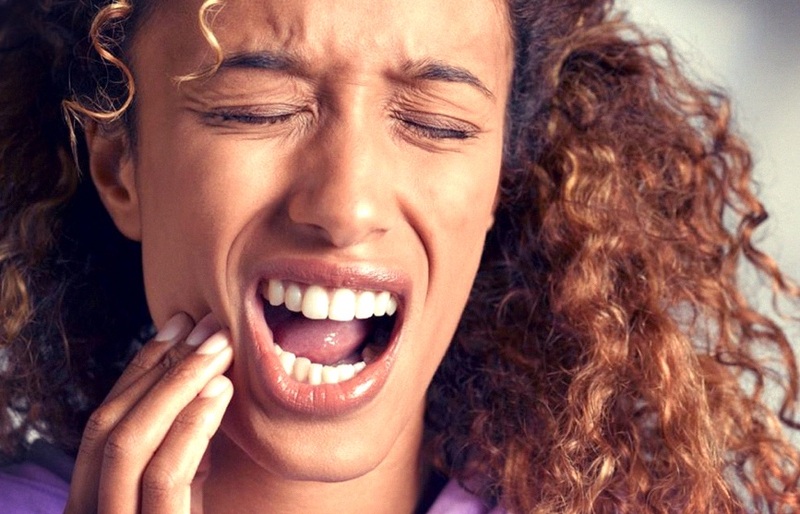 Our emergency dentist in Cheadle Hulme will do whatever they can to stop any pain or bleeding and of course, getting you out of discomfort will be our primary concern. From there, we’ll schedule any other treatment you need at your earliest convenience to get you back to good dental health. However, while we provide the highest levels of care at all times including dental emergencies, there remains some confusion surrounding what constitutes a dental emergency. With this in mind, let’s take a closer look…. So what’s classed as a dental emergency? Any problem in the mouth that requires urgent attention is considered a dental emergency. This can mean treatment to save a tooth, stopping any blood loss or relieving pain. If this is something you experience, the important thing to remember is to call our emergency dentist Cheadle straight away. Remember. acting fast can make all the difference between saving a tooth and losing it while ignoring the problem can lead to further damage, expense, and pain. While you make your way to see our emergency dentist, Cheadle patients may be able to take steps that can help to manage the pain, which we’ll advise you on over the phone. This may be something as simple as taking over-the-counter painkillers or biting down on a gauze or tissue to stem any bleeding. As there’s never a convenient time to need an emergency dentist, Manchester-based Church Road Dental practice is here for you 24 hours a day, 7 days a week. If you’re suffering from any type of dental pain, tooth loss or severe bleeding, call us immediately on 0161 486 0743 and you’ll be put through to our on-call emergency dentist. Stockport, Manchester or Cheadle patients will then be dealt with right away if necessary and we’ll arrange to meet you at our practice. Call us now on 0161 485 7376 to end your toothache!